Home | Business in Action | November 08 | Goldrich Printpak Inc.
Goldrich operates from a 67,700 sq.ft. facility in Toronto, Canada, and houses an impressive prepress facility featuring a creative design studio, wide format, high speed ink jet equipment, computer to plate (CTP) plate making devices-, multicolour offset litho presses, UV and IR coatings, die cutting, windowing and folding carton glueing. Operations also include a thorough co-packaging facility including automated blister packaging, skin packaging, automated shrink wrapping, assembly and display pack out services are among some of its’ specialties. Leslie Goldberg, President, offered some insight on how the business has changed over the years, and coped with uncertain markets, and environmental shifts. As a university student at the time of his father’s passing in 1976, Goldberg had not intended to run the family business. But as circumstance goes, he joined the company in 1976 and has made it the adaptable and highly reputable organization it is today. Growing on the clientele of companies like Canadian Tire, Gillette, Stanley Tools, the company has seen many changes over the years. After several years cultivating the retail carded packaging market side of the business, Goldrich responded quickly when they were approached to become the machinery dealer and plastic supplier for many of their clients’ packaging needs in the blister and skin card area. “Expanding our services made growth easier and made us a prime supplier, at a time when other people were only able to supply a portion of the requirements” says Goldberg. From that vertical integration the company opened a design facility so that it could offer creative services, which at the time also gave Goldrich a strong competitive edge. Goldrich Printpak’s services now include: computer design, photography services, electronic plate , computer plating (CTP) to reduce set-up costs, printing services on 40", 50" and 55" multicolour offset lithographic presses, which include perfecting and in-line UV-IR coating capabilities, on-line and off-line coatings, using environmentally safe, superior quality coatings, auto-stripping die cutters, windowing, straight line, auto-bottom, 4 and 6 corner high speed folding carton gluers, custom packaging, and computer generated U.P.C. symbol masters. However, there was a notable shift in the late 90s in the packaging landscape. Low-end packaging projects were farmed out to countries where inexpensive labour prevailed, in Asia, South America, and Eastern Europe. 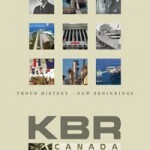 This affected many businesses in Canada. 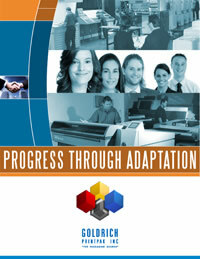 “The visual display carded market, the blister cards and skinboard segment of the carton industry practically disintegrated when this shift occurred, and it was a good thing at that time that we were going into the next phase of cardboard packaging business – folding cartons, which supplied us with growth and stabilized our operations.” With an adaptable business model, Goldrich was able to weather the storm of a changing industry. Goldrich has been a member of the Packaging Association of Canada (PAC) for over two decades, and endorses the sustainable packaging movement. Greenchoice 100 is the first product of its type: it is made from 100% recycled fibres, is 100% recyclable, is 100% carbon neutral and purchases 100% clean renewable energy to offset energy used in its manufacture. The boxboard is manufactured from 100% post-use recycled waste paper fibres. Approximately 65% of this post-use waste paper is post-consumer material and 35% is industrial scrap. GreenChoice 100 is in compliance for direct food contact under the regulatory frameworks of the US Federal Food and Drug Administration Act (FDA), the California EPA Proposition 65 and the Canadian Food Inspection Agency. GreenChoice 100 also complies with the provisions of the model state law CONEG, for heavy metal content. Metal detection capabilities to a particle size of 1.0mm are available on sheeted stock. Becoming a supplier for the biggest fast food chain in the world years ago also helped shaped Goldrich as the responsible and socially-conscious business it is today. When the company was approached to become a McDonald’s supplier, they had to change their packaging to be 100% safe and so they’ve continued evolving their food packaging ever since. Goldberg has strong feelings about the environmental damage done in North American during the second industrial revolution. Goldberg’s efforts are far-reaching, and he sees his business grow because of his value-based operations. “If North America becomes the industry leader, then hopefully other nations will see the example set and know they can do something to reduce business’ environmental impact.” What keeps things going in the recently tough, unstable economy? It’s got everything to do with the company’s reputation, and ability to set the bar for customer satisfaction. The company also has broadened the scope of their client base – serving clients as far as Japan. Now serving an international market, Goldberg is sure that the business will stand, as it always has, the test of time.